Tsubaki Advantage saves you time in so many ways. Everything your Tsubaki representative needs to know about your application can be tracked in the uniquely Canadian Tsubaki Advantage database. That means when service is due on your Tsubaki components, your representative will be contacting you. We track what you’ve ordered in the past, when service is due, and when parts need to be replaced. Once your rep is on site, the time-saving continues. By simply referencing a photographic record of your Tsubaki product within the application, your rep knows exactly where it is installed. And before they’re out of the door, you’ll have an analysis of your needs and a documentation of the cost savings you’ve had over time with your Tsubaki chain. When you’ve got the Tsubaki Advantage, we get to you before time runs out. Contact your Tsubaki sales representative to discover your Advantage. 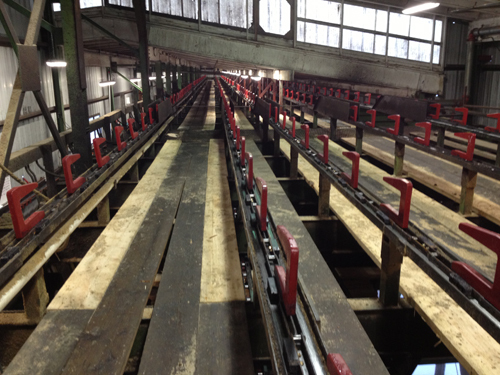 Issue: The mill was using the competitor’s brand of 160-2RB chain that was consistently breaking on the conn link approximately every 2 months causing costly maintenance and down-time; the maintenance supervisor made it clear that they wanted a long-term solution for the drive. Tsubaki chain has superior connecting link strength due to our patented Ring-Coining connecting link technology; Tsubaki connecting links have the same strength equal to the rest of the chain unlike other connecting links on the market that reduce the Ultimate Tensile Strength (UTS) by approximately 10%. Cost Savings: By switching out the competitors brand of standard 160-2RB roller chain to Tsubaki`s 160SUPER-2RB we’ve been able to improve chain life from approximately 60 days to over 172 days and counting. Even though there is an added cost associated with upgrading the chain to SUPER SERIES, we have been able to realize over $3000.00 in annual cost-savings on that one drive without having to account for costly maintenance and downtime. Tsubaki sprocket wear indicators are a quick and easy way to tell when it’s time to change your sprockets. 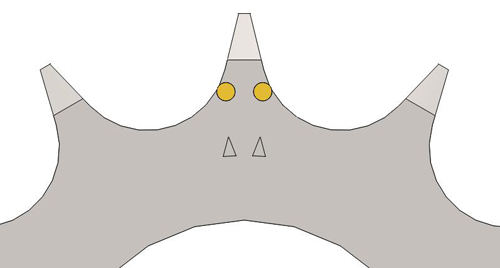 Over time the width of sprocket teeth is reduced from continuous engagement with the chain roller. As a sprocket approaches the end of its lifespan the chain tends to cling to the sprocket or vibrate. This causes the chain to wear at a faster rate than if new sprockets were used. 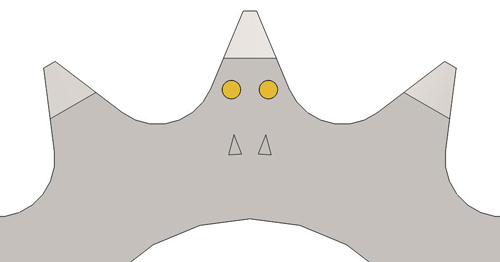 Using Tsubaki sprocket wear indicators allows the user to know exactly when the sprockets need to be replaced. 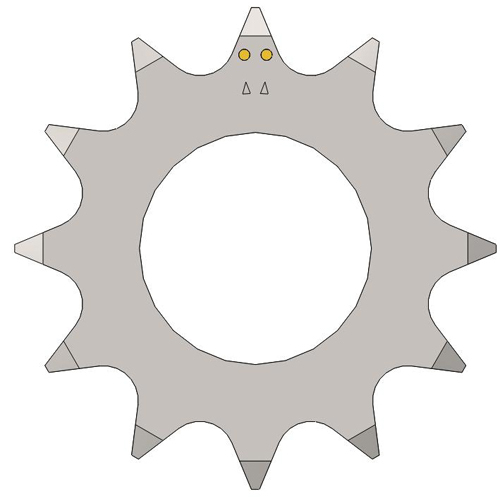 As shown below when a sprocket is worn the chain roller will contact the wear indicator which will leave a yellow mark on the tooth. 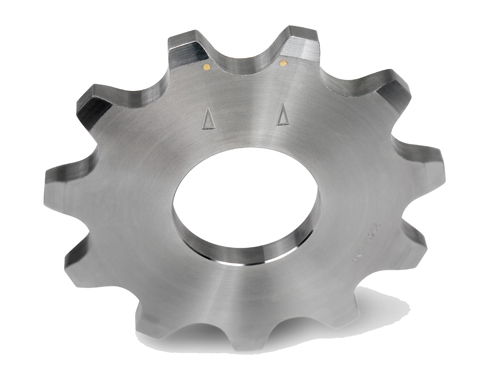 This visual warning eliminates the guess work in sprocket maintenance and ensures the performance of the drive. Wear indicators are available on RS100 sprockets and up. Contact Tsubaki’s Technical Support if you require more information.